I've been retasting a lot of Yiwus recently. I'm planning a purchase freeze policy in 2015 which means I have one last chance this month to buy myself a birthday beeng for next February. Yiwu is one region where it's dead easy to get a beeng with assured fireworks in the maw. Yiwu old tree is also one of the few types of newborn sheng I can tolerably handle. Since almost every boutique vendor specializes in high-end pressings from specific Yiwu villages or carry aged Yiwus in some form, it's easiest for me to go Yiwu. However I have to sheepishly admit that Yiwus are not my native preference- too pretty, too elegant and restrained. Just like neo-classical sculpture, I can see how majority of the Western world considers it the pinnacle of art making but I'd rather be gazing at Assyrian reliefs or West African carvings any day of the week. But because excellent neoclassical examples are so prevalent in museums, I'm forced to look at and appreciate a lot of exquisitely carved marble. To make the analogy a bit more down to earth- if Yiwus are thin and blond, let's just say I instinctively prefer plump and dark. However, I've been warming up to Yiwus more and more as it is the region I've had the least disappointments. According to Ancient Caravans and Urban Chic and echoed by puerh.fr, our current market regard for Yiwu got kicked off by the Taiwanese tea lovers/"tea madmen" who yearned for the historic nostalgia of Yiwu flamed by master examples from Tonging Hao and Songpin Hao. Yiwu during the Qing dynasty was not considered the highest quality leaf as the distinction belonged to Yibang(倚邦). The "golden melon" imperial tribute tea was made from Yibang tea from Mansong village. Yibang being the administrative seat for the 6 Tea Mountains apparently was bustling enough to house 7-8 brothels according to this fascinating redrocktrek.com post. Sadly Yibang fell into decline last century and many old trees were cut down to make way for crops like corn. Tea Urchin 2014 Spring $86 for 200g - Definitely worth a sample. 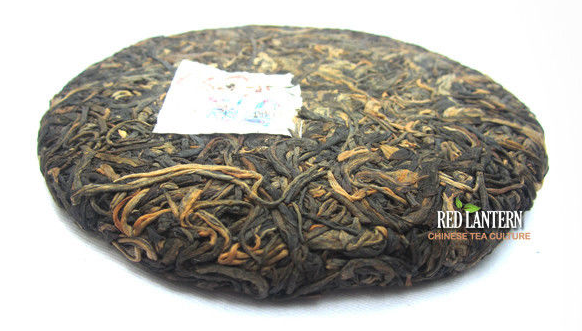 2004 Shi Gun Mu Gushu $121 for 400g - Jakub recommended it to me but I rashly rejected it because he wrote the Shi Gun Mu needed careful attention. I need to include it in a sample in my next Chawangshop order. 2005 Changtai Yi Chang Hao $97.90 for 400g - So many stems! Why didn't I buy this for $18 when I had the chance. As there are no samples- I'm not likely to roll the dice. There is one Yiwu which makes me salivate before the screen. Almost every night before I go to bed in the last two weeks, I've been scrutinizing the furry gold buds of this 2004 Changtai Hao Yiwu Purple Bud. Of all the different sheng types, purple teas have been my sentimental favorite. But it's a gamble to put a hundo down for this purple bud which may not have aged well especially in the humid warehouses of Guangdong. I've spent already more than 16 benjamins on tea this year and I didn't want to face yet another tea I'm lukewarm on. My purchase decisions are made late at night on impulse even-though I spend untold hours staring at sheng inventory of every major internet vendor. But I have a plan to make more tea play money next Thursday. I'll let you know if I achieve any success. that 2004 yiwu purple bud sounds like a good way to see if purple bud tea ages well. It will be but one data point and a hundred dollars is not insignificant. perhaps if you could find a way to split a cake. I'm with you when it comes to Yiwu. My puerh palate apparently requires a greasy clubbing in order to find tea satisfaction. That Jin Chang Hao you mentioned in your previous post, while fine, never quite did it for me. No more tea buying for me in 2015 either! Well, maybe a little yan cha to warm up winter's end. I want to work my way through my handful of aged beengs before they bring to mind the worst of all Kansas songs. Since we both have birthdays in February, maybe I'll send you a little bit of something to spruce up the northern Hemisphere's shortest and most interminable month. Yibi Hong Cha 2014: Hongcha? Sheng Puer?